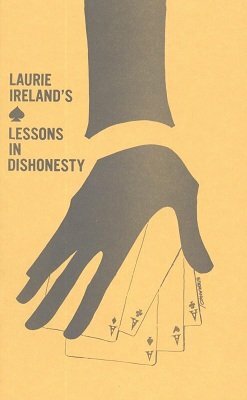 An absolute expert in card manipulation, Ireland brings you here authoritative instructions on bottom and second dealing, a gambling routine, and instructions on the false count. This is ideal material because it is fully illustrated with line drawings by Steranko, plus a series of photographs taken from life. Belongs in the library of every card man. 1st edition 1938, revised in 1963, 24 pages; 1st digital edition 2012, 25 pages.